Laverne Cox has called out US police forces after a study revealed the names of murdered trans people are systematically disrespected. The ProPublica study published this week found that transgender people’s deaths are often handled in an insensitive way by police, with victims still commonly referred to by their deadnames in the vast majority of cases. The outlet reviewed the murders of 85 transgender people since January 2015, finding that in 74 of the cases, the victims were identified by their former names or birth genders. Many forces insisted on using the name or gender listed on the victim’s ID, even when it is several years out of date. Experts say the practice can cause significant harm to police investigations during the most critical phase, because people with information may only know the victim by their chosen name, and because deadnaming fosters mistrust of police within the transgender community. 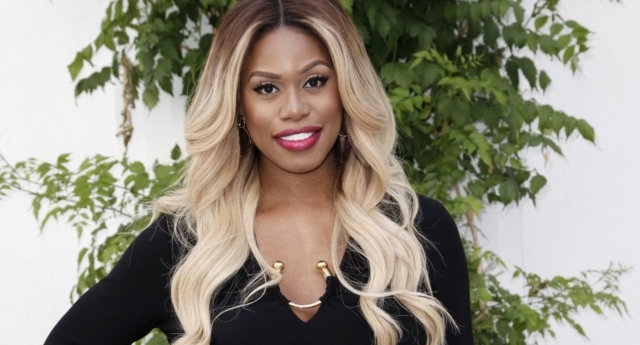 In a Twitter post, Orange is the New Black star Laverne Cox opened up about the shocking findings. She said: “Many years ago when I was contemplating suicide, I was planning to have a note in my pocket at the time of my death and several other notes in my home which would state my name, preferred gender pronouns and that I should be referred to as a woman in my death. “My note would be clear that I should not be referred to as Laverne Cox only not any other name. She added: “I used to share a lot more on social media about the murders of trans folks. I don’t as much now because its retraumatizing for me to constantly live in this space of death, murder and the injustices that lead to these deaths. “As I read this report from ProPublica I sobbed and wept for all the trans people who have been murdered and those experiencing direct, cultural and structural violence. I wept because I haven’t been allowing myself to. I wept for all of the violence I have experienced in my own life. “I am angered, saddened and enraged that the police in Jacksonville, Florida and other jurisdictions don’t have policies in place to respect the gender identities of trans folks when they have been MURDERED. She added: “I have been saying for years that misgendering a trans person is an act of violence. When I say that I am referring to cultural and structural violence. “The police misgendering and deadnaming trans murder victims as a matter of policy feels like a really good example of that cultural and structural violence.